TCL women’s team took 1st (Angie) and 3rd (Tory) at Tour De Donut!! 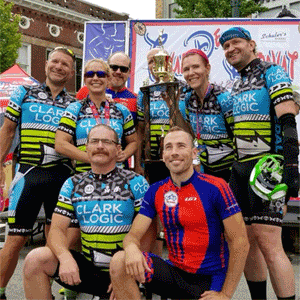 TCL men’s team up with Pedal to win the team division!! Pictured: Paul Guimond, Angie Kautzer Veneklase, Albie Banner, Jake Bee and Tory Cane.